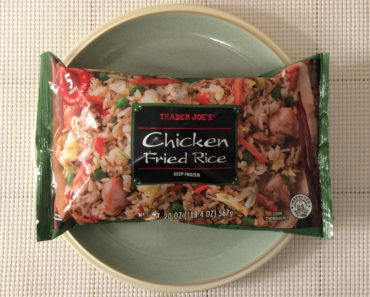 Sometimes, Trader Joe’s takes a fried chicken meal and knocks it out of the park. Their BBQ Chicken Teriyaki, for example, is astounding. 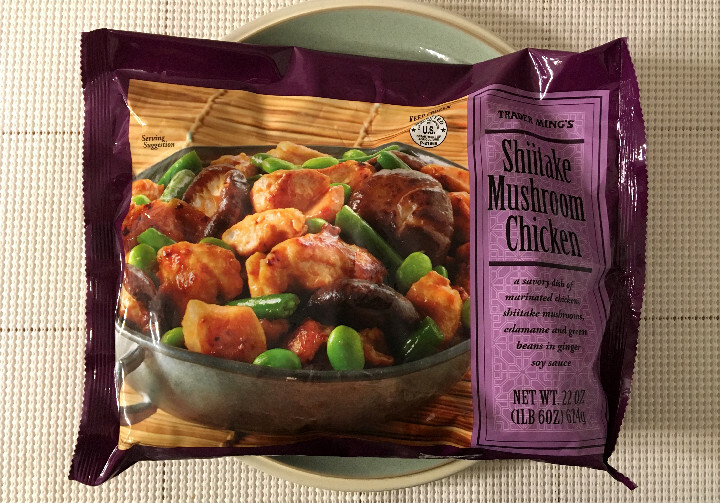 However, we were a little hesitant to try the Trader Joe’s Shiitake Mushroom Chicken. 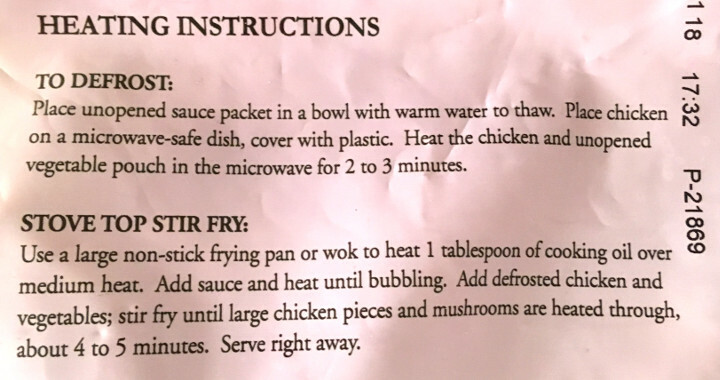 It’s not because we were concerned that it wouldn’t taste great — no, the instructions seemed a little complex at first glance, which intimidated us a bit. We looked at the package and saw two full paragraphs of instructions, and we panicked a little bit. But then we actually read those instructions, and they ended up not seeming quite as bad as we’d made it out to be. Yes, this is a multi-step process that involves several different pieces. 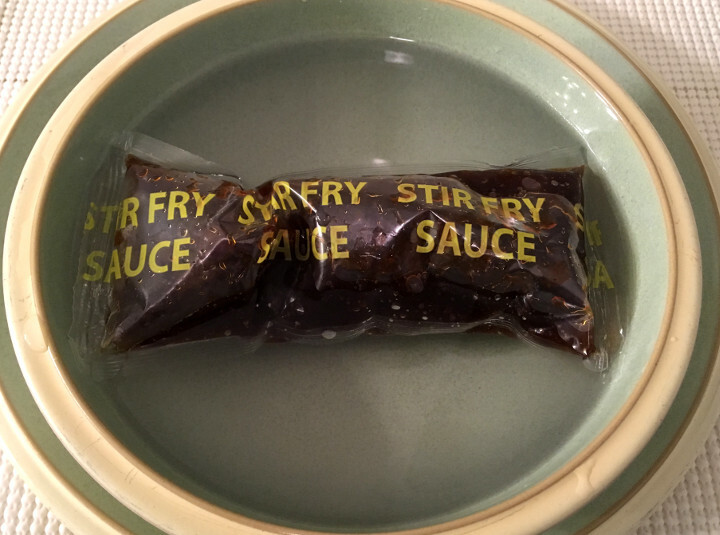 There’s a sauce packet that needs to thaw in a bowl of warm water. 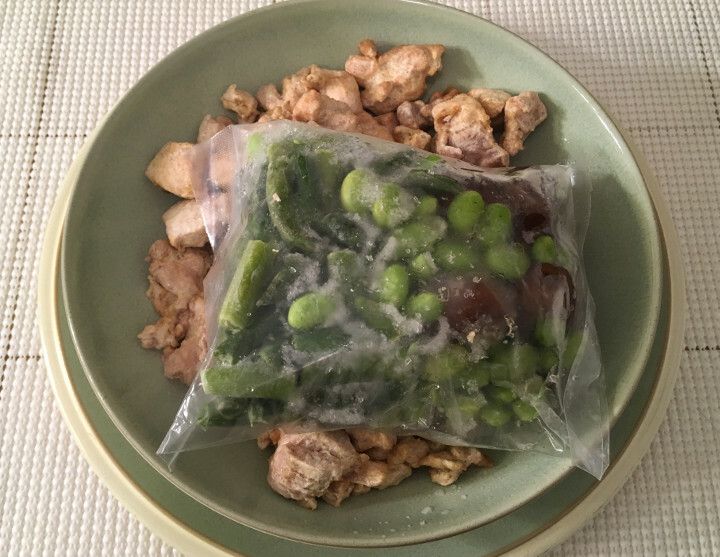 And then there’s a veggie packet and a whole pile of chicken that need to be thawed in the microwave. In just about ten minutes, you’ll end up with a bowl of steaming chicken. And boy howdy, this chicken is delicious. These are juicy dark-meat chicken chunks, which means they’re loaded with that wonderful dark-meat flavor. Then, there’s the sauce, which really kicks the flavor up yet another tasty notch. The sauce is vegetarian-friendly, but since you’ll be marinating chicken in it, you probably won’t be serving it to any vegetarians. There are some shiitake mushroom caps in the mix as well, though we admit there were fewer in our bowl than we initially hoped there’d be. They taste great, so they’re the perfect addition to this meal; we just would have liked to see a few more of them in our meal. Next up, you’ll find plenty of green beans in this blend. They taste surprisingly fresh and they have a firm texture to them, even after marinating in the sauce. And last, but certainly not least, is the edamame, which is the perfect finisher for this hearty mix of foodstuffs. One note about the edamame, though — there’s a ton of it here. It’s likely to be the last thing left in your bowl when you’re almost done eating this. 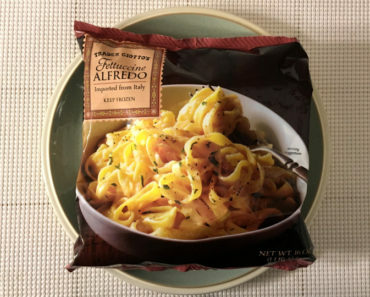 Trader Joe’s claims there are about four servings per bag, and that each serving has 180 calories (70 from fat). That doesn’t sound too bad until you realize that 1/4 of a package is not a lot of food. We think it’s far more realistic that you’ll split this between two people than that you’d end up getting four meals out of this. In fact, one really hungry person could probably knock this thing out in a sitting. That makes that calorie count seem quite a bit less impressive. 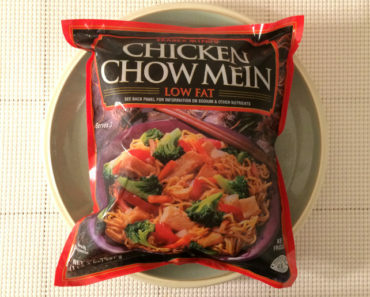 On top of that, there’s 480 mg of sodium in a serving, meaning one bag of this stuff has almost 2,000 mg of sodium in it. Yikes, indeed. 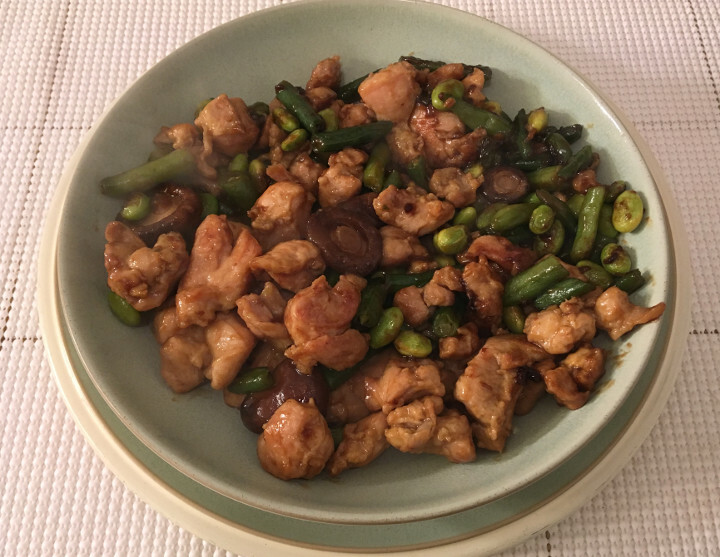 Don’t be intimidated by the Trader Joe’s Shiitake Mushroom Chicken. 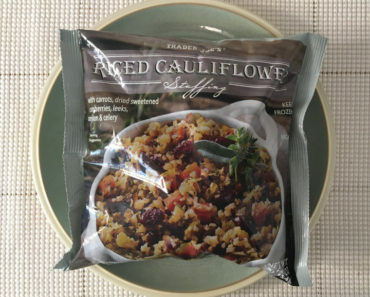 Even if your cooking skill level is low enough that you’re more comfortable with a microwave than a stovetop, you should be fine cooking this up. And the flavor is amazing. 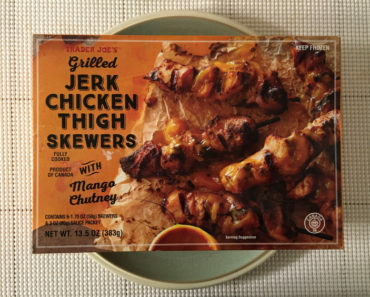 This is a meal you should definitely pick up the next time you wander out to a Trader Joe’s store. Heck, pick up a few bags, as to have some extras on hand. Just be careful of that sodium level — it’s quite high. 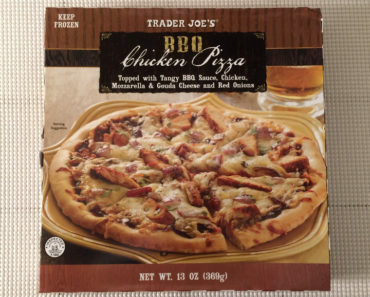 To learn more about the nutrition content or ingredients in this Trader Joe’s frozen chicken, check out our package scan below.